Poster art for "Lean on Pete," the new film from Andrew Haigh released by A24. The latest feature film is from acclaimed director Andrew Haigh (45 Years, Weekend)! 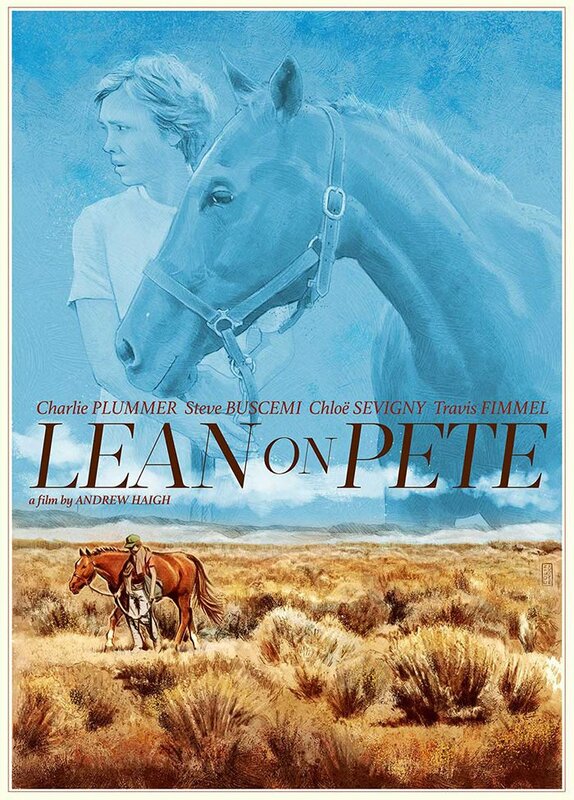 It tells the story of 15-year-old Charley (Charlie Plummer), who finds acceptance and camaraderie at a local racetrack while caring for an aging Quarter Horse named Lean on Pete. When Charley discovers that Lean on Pete is bound for slaughter, they head out into the great unknown. Charley and Pete embark on an odyssey across the new American frontier. They experience adventure and heartbreak in equal measure as they pursue their dream of finding a place they can call home. Co-starring Steve Buscemi, Chloe Sevigny, and Steve Zahn.